Lightweight on your shoulders, stable on the ground. 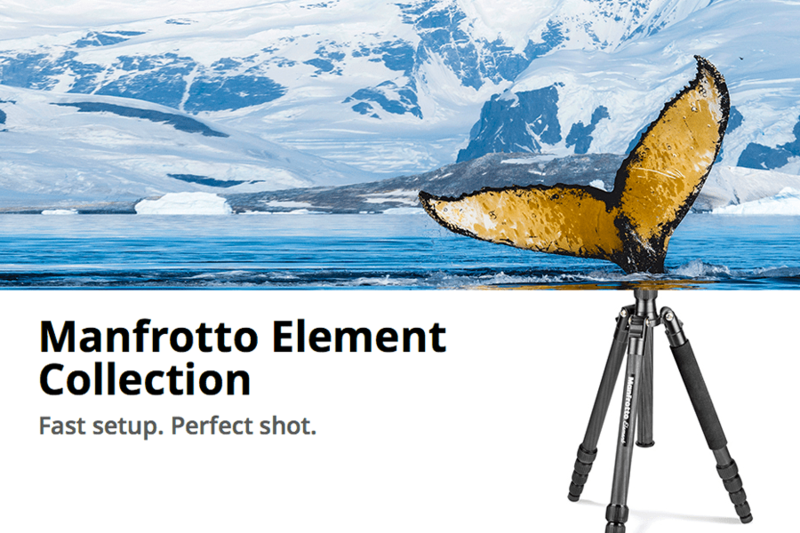 Manfrotto, world leader in the photography, imaging equipment and accessories industry, presents Manfrotto Element Carbon. 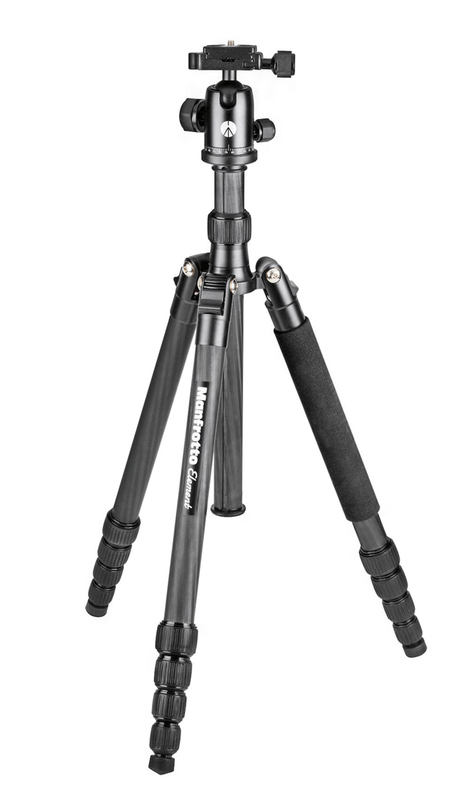 The Manfrotto Element Carbon tripods are the perfect fit for travel photographers who are just starting out and enthusiasts. 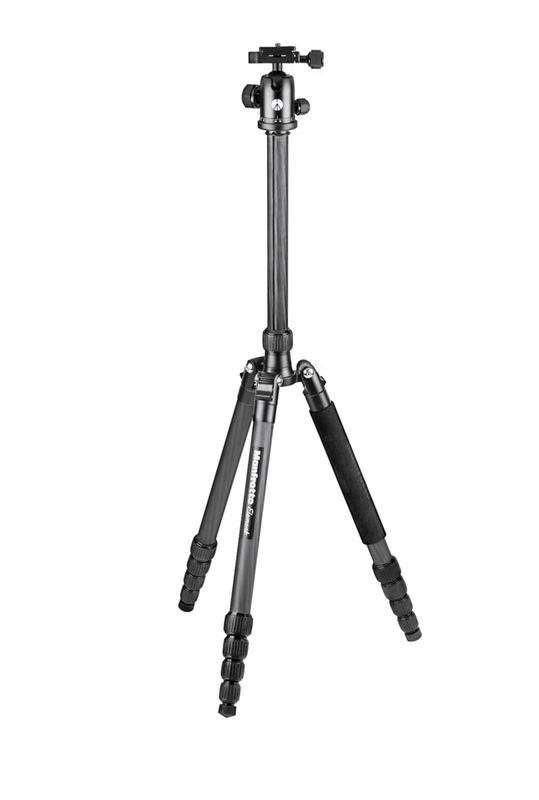 The two new Element Carbon traveller tripods are reliable, lightweight and easy to carry. Both feature a compact and sturdy carbon fibre construction that makes them strong but still very portable. The three leg-angle positions mean they are highly versatile so they are perfect for experimenting with all kinds of creative shots. 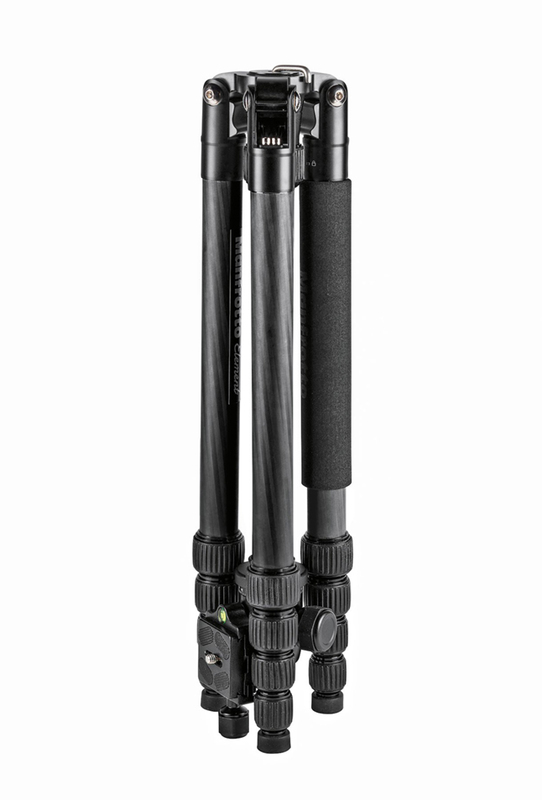 The twist lock mechanism enables photographers to get into the right position fast, in a few, easy moves, while the aluminum ball head is designed to deliver the fast movement when framing and a firm lock for setting equipment up exactly as you need it. The ball head mounts an Arca-type quick release plate with a 1/4″-20 camera screw on top that ensures equipment is balanced even when using zoom lenses. 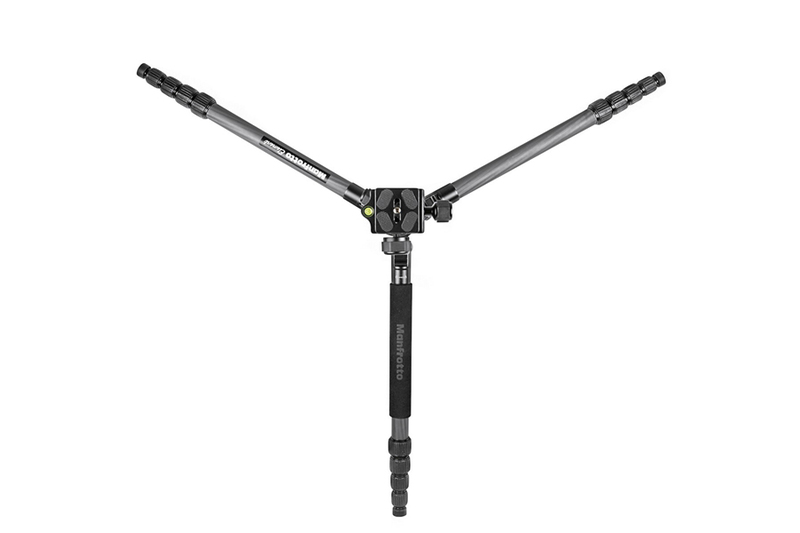 In addition, the Element Traveller Carbon Big Tripod features a detachable leg that, when removed and attached to the centre column, becomes a full size lightweight monopod. The Element Carbon Tripods have a payload of 4kg on the small tripod, and 8kg on the big tripod and feature a branded Manfrotto bag, an additional set of spike feet (big tripod only) and an Allen key to fix and tighten your gear. 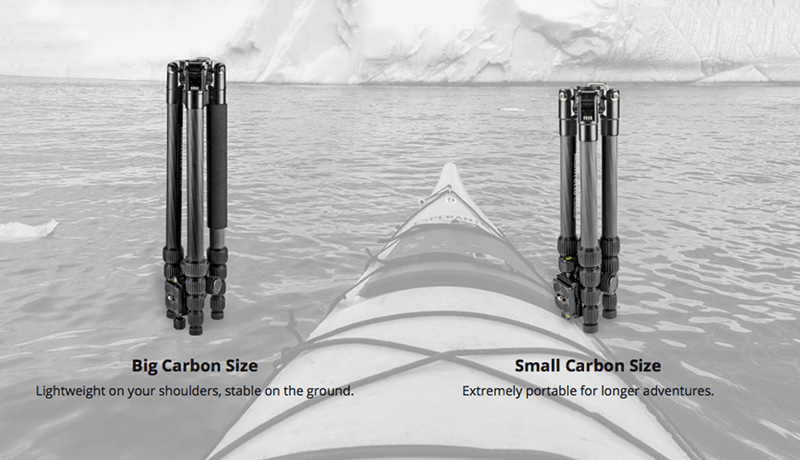 The Element Carbon Tripods are available from £174.95.